This 6.5" x 9.5" original antique print was recovered from Volume Ten of "The World's Progress, with Illustrative Texts From Masterpieces of Egyptian, Hebrew, Greek, Latin, Modern European and American Literature." The book was published in 1915 by the Delphian Society and edited by J. K. Brennan. 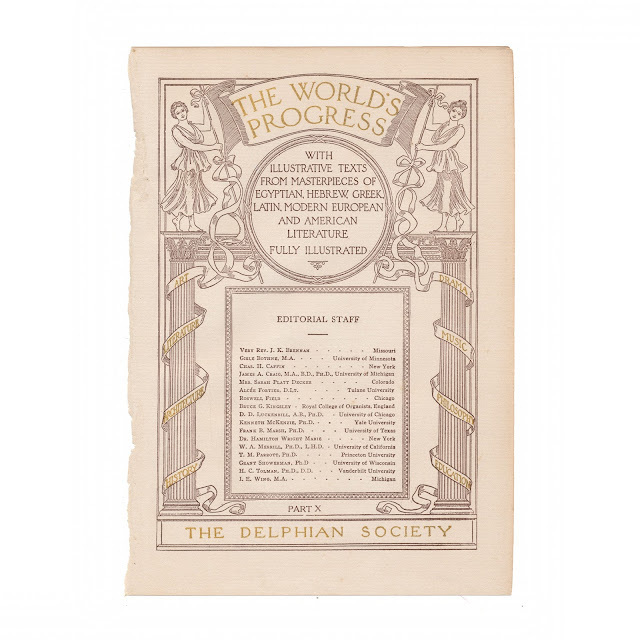 The Delphian Society was a national organization that promoted the education of women in the United States. This organization was founded around 1910 in Chicago. 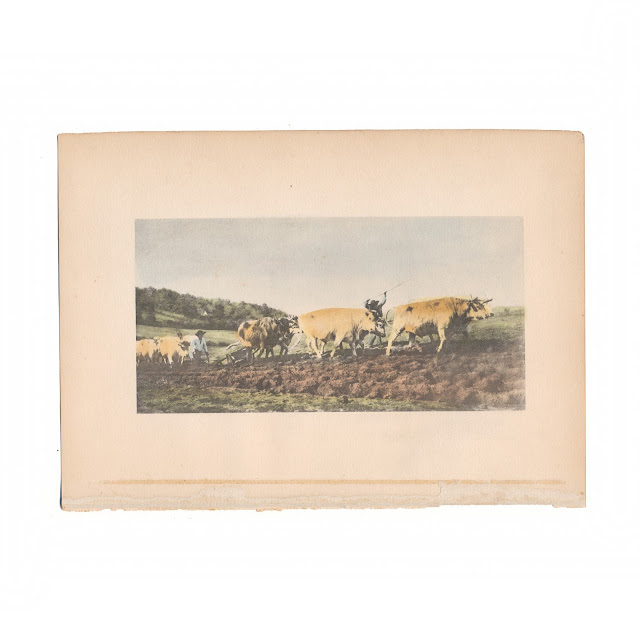 This illustration is a colorization of French artist Rosa Bonheur's "Oxen Ploughing," also known as "Ploughing in the Nivernais." 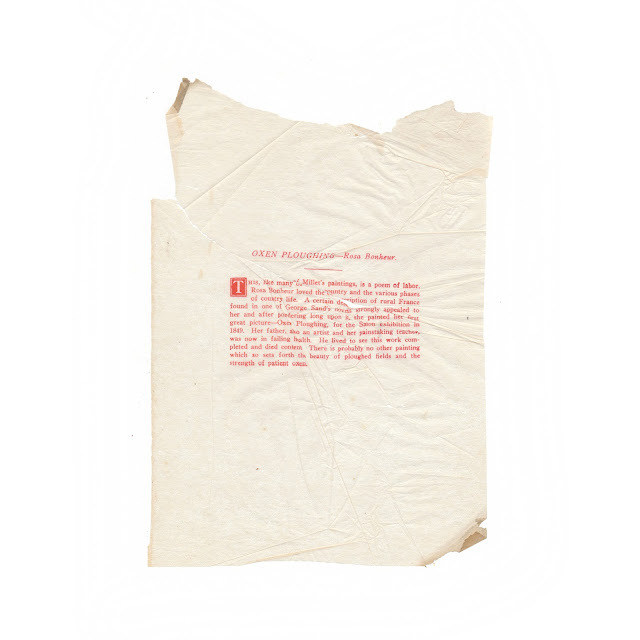 The paper shows a bit of browning and soil, but is generally clean and crisp. Shows remnant of original tissueguard, which is included. Title page from the original book shown for informational purposes and is not included with the sale.